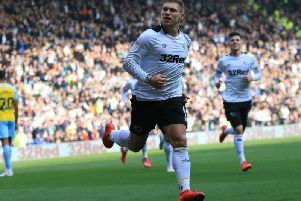 Nottingham Forest claimed a big three points on Saturday as they defeated Swansea City 2-1 at the City Ground, coming from behind to win thanks to late goals from Daryl Murphy and Molla Wague. On a bright Spring afternoon by the Trent it was Swansea who had the majority of possession but the visitors from Wales could not make it count and they were beaten by two late goals from Forest corners. Flying winger Daniel James was looking a big threat for the visitors and he forced Costel Pantilimon into an early save in the 10th minute before, moments later, he stole the ball from Tendayi Darikwa on the byline before seeing his attempted pass across goal cleared for a corner. Jack Colback tried his luck for The Reds with a speculative range from distance and though it was well-struck, it lacked the accuracy needed and it fizzed wide of the target. In the 35th minute, the Swans almost unlocked the Forest defence with a raking pass from Mike Van Der Hoorn but the ball just ran away from Bersant Celina in the area and Pantilimon was able to clear up. Matt Grimes then called Pantilimon into action with a terrifically hit effort from 30 yards which the Romanian stopper tipped wide of the post. The first opportunity of the second half went the way of Forest as a deep corner into the box was only partially cleared and Yohan Benalouane hooked a shot towards goal, but the effort was off target. There was a big let off for Forest in the 58th minute as Oli McBurnie carried the ball into the area before spurning a golden opportunity, firing wide. Joao Carvalho was introduced in the second half by Forest and he almost made an immediate impact, showing some good close control before teeing up Joe Lolley who smashed a shot over the bar. In the 76th minute, Swansea deservedly broke the deadlock. George Byers was picked out free on the edge of the area and his first-time strike nicked off Connor Roberts, sending it past Pantilimon and into the back of the net. Despite the visitors enjoying the better of it, their lead did not last long as Forest were level three minutes later. A delightful corner from the right by Joe Lolley was headed home at the near post by Daryl Murphy. That gave the home side the momentum and in the 86th minute they were denied by a stunning stop. Ben Osborn lifted the ball onto the head of Joe Lolley inside the area and his looped header looked destined for the far corner but Kristoffer Nordfeldt scrambled back to tip the ball over the bar for a corner. From that resulting set play however, Forest got the winner. In almost identical fashion to Forest’s leveller, Lolley whipped a great ball in and this time it was Molla Wague who was on hand to thump a header into the back of the net. FOREST MAN OF THE MATCH: Daryl Murphy.